Professor Rebecca Fitzgerald came to Dundee to give the 7th DCAT Annual Lecture on Thursday 1 November 2018. 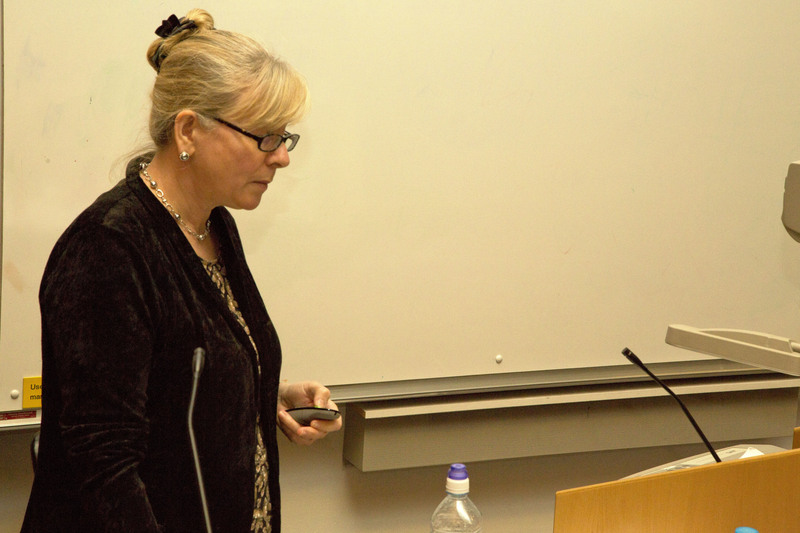 Her lecture, “Zooming in on the molecular landscape of oesophageal cancer for earlier diagnosis and improved treatment”, was held in the Gannochy Trust Lecture Theatre as part of the Grand Rounds, Ninewells Hospital & Medical School. 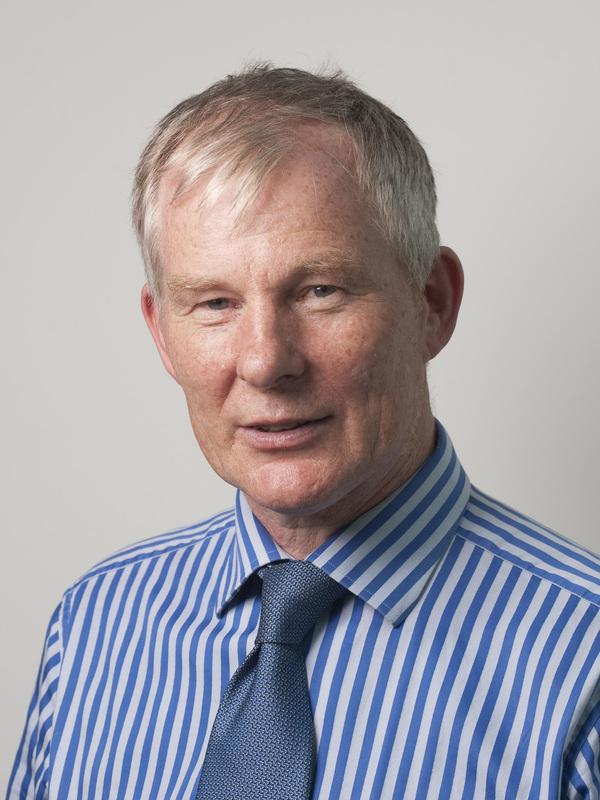 Professor Fitzgerald’s research interests are on the early detection and treatment of cancer of the oesophagus. Oesophageal cancer has increased six-fold in the last 30 years and fewer than 20% patients survive beyond 5 years. Knowledge of the molecular landscape is providing fresh insights into how these cancers develop and new avenues for therapy. As well as molecular targeted treatments for advanced disease, early diagnosis is also key and the new non-endoscopic approaches coupled with biomarkers offer an exciting opportunity to intervene early. Professor Fitzgerald is Director of Medical Studies for Trinity College Cambridge, and is involved with undergraduate and clinical teaching. She has a wealth of lecturing experience including radio broadcasts for BBC Radio 4 and ABC Radio Australia, Health of the Nation. Rebecca is committed to bringing research advances into clinical practice and inspiring other researchers to do likewise. She is an inspiring speaker and her talk appealed to all – from medical students to senior academics, and from basic scientists to clinicians. We were hugely privileged to have Professor Sarah Tabrizi present last year’s annual DCAT lecture "Meeting the therapeutic challenge in Huntington’s disease". Professor Tabrizi is a brilliant and inspiring speaker and her talk appealed to all – from medical students to senior academics, and from basic scientists to clinicians. We were delighted to welcome Professor Moira Whyte who visited on Thursday 3 November to give the DCAT Annual Lecture “How does oxygen regulate inflammation and host defence?” Moira, is a professor of Respiratory Medicine at the University of Edinburgh and Director of the MRC/University of Edinburgh Centre for Inflammation Research (www.cir.ed.ac.uk/investigator/Professor-Moira-Whyte) and has a longstanding interest in developing clinical academic careers. She is Chair of the MRC Clinical Training and Careers Panel and was previously a member of the Wellcome Trust Clinical Interest Group and Chair of the Starter Grants for Clinical Lecturers Panel. She is Director of the Edinburgh Clinical Academic Training (ECAT) Programme and was recently appointed Head of Edinburgh Medical School. Moira’s research interests have focussed on molecular mechanisms of innate immune cell apoptosis in the context both of chronic inflammatory lung disease and of host defence against bacterial infection. These are areas of major therapeutic challenge with no effective therapies for persistent neutrophilic inflammation and with strategies to manipulate host immune responses to pathogens having exciting potential for treatment of antibiotic-resistance infection. DCAT was privileged to have Professor David Adams present the 2015 DCAT Annual Lecture "Immunology, Liver Disease and Coffee, a Career in Academic Medicine". David, who is Pro-Vice Chancellor, Head of College of Medical and Dental Sciences, Dean of Medicine and Professor of Hepatology at University of Birmingham, is interested in transplant hepatology and autoimmune liver disease. His laboratory research interests are focused on mechanisms of immune-mediated liver disease and leucocyte trafficking. After initial training in hepatology in Birmingham he continued his immunology training with Dr Stephen Shaw at the Experimental Immunology Branch of the National Cancer Institute at the National Institutes of Health, Bethesda, USA. He was appointed to the Chair of hepatology in Birmingham in 1997. He is on the editorial boards of several international journals and currently Associate Editor of Transplant International, Liver transplantation and Clinical Science. He was made a Fellow of the Academy of Medical Sciences in 2000. After the lecture, DCAT organised opportunities for a number of interested junior doctors and clinical fellows to meet and chat with David. This enabled them to learn more about David's background and how he developed her career as well as giving them the chance to gain a greater insight into his current work in Birmingham. DCAT was delighted to welcome Prof Andrew Hattersley (FRS, FMedSci) to Dundee to give the DCAT Annual Lecture. Andrew is the Professor of Molecular Medicine at University of Exeter Medical School. He received his undergraduate medical training at Cambridge and Oxford, going on to postgraduate training in Diabetes and Endocrinology at the Hammersmith hospital, London and Birmingham. He trained in genetics research in Oxford before setting up his own lab in Birmingham and moved to Exeter in 1995. In addition to being a practicing diabetologist, he has, with Professor Sian Ellard, established Exeter as the leading international centre for monogenic diabetes. Exeter have led both gene discovery, and clinical implications, particularly the pharmacogenetics on treatment. Hattersley and Ellard have strong aligned their research to providing a diagnostic service and have provided testing for over 8,000 patients from over 80 countries. Exeter’s physiological and clinical studies have provided key insights into the function and development of the beta-cell both before and after birth. Notably they have shown by genetic studies of pancreatic agenesis that early pancreatic development differs in mice and man. Hattersley’s greatest contribution to date was establishing that patients with potassium channel mutations, despite being insulin dependent, can get better glucose control on sulphonylurea tablets than on insulin injections. As a result throughout the world, patients diagnosed with diabetes before 6 months have genetic testing within days to ensure they receive appropriate treatment. Prof Sharon Peacock (FRCP, FRCPath, PhD, FMedSci), Professor of Clinical Microbiology, Chair of the Cambridge Infectious Diseases Initiative, Deputy Director of the Cambridge Wellcome Trust Centre for Global Health Research, and an Honorary Faculty Member at the Wellcome Trust Sanger Institute came to Dundee in 2013 to give the DCAT Annual Lecture. Medical students, junior doctors, consultants and academics alike were invited to Sharon's lecture entitled: "Translating microbial sequencing into diagnostic and public health microbiology". 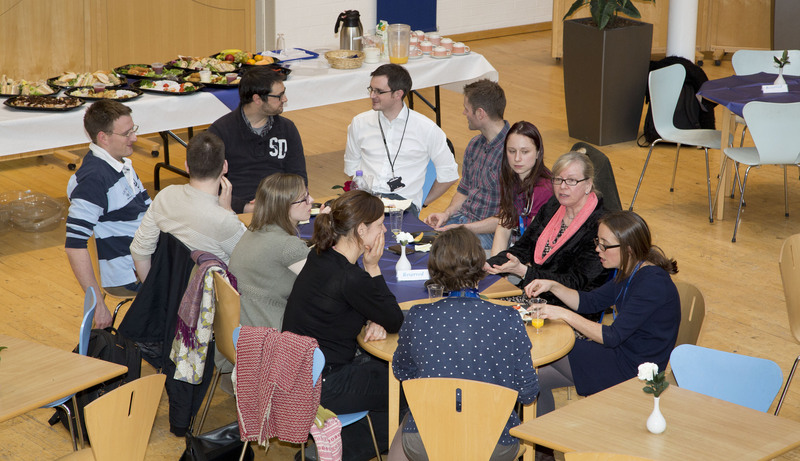 After the lecture, DCAT organised opportunities for a number of interested medical students, junior doctors and clinical fellows to meet and chat with Sharon. This enabled them to learn more about Sharon's background and how she developed her career as well as giving them the chance to gain a greater insight into her current work in Cambridge.